OTONEWS - Audi leak will introduce all-new Audi A4 latest tomorrow September. And certainly will have a competitor Audi Jaguar XE, the BMW 3 Series and Mercedes-Benz C-Class. 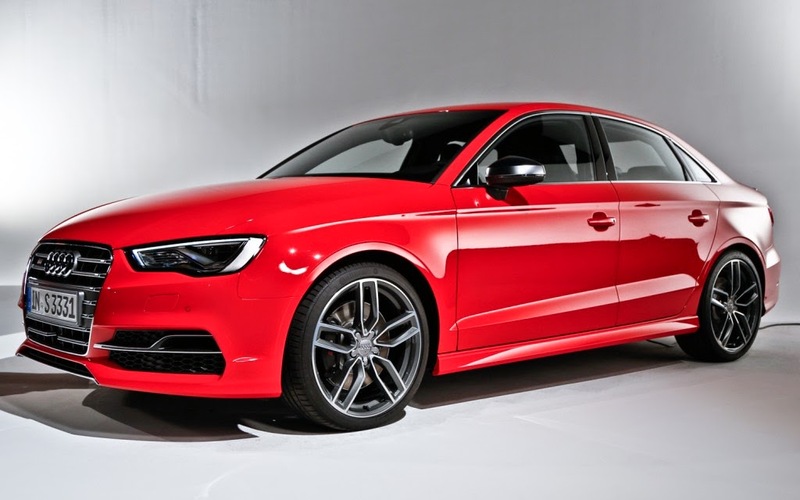 Reported autoexpress, Tuesday (14/04/2015), said to be luxurious look New Audi A4 will be first introduced at the Frankfurt Motor Show in 2015. Birth of the New Audi A4 will accompany the rate of the New Jaguar XE, the latest BMW 3 Series and Mercedes-Benz C-Class. One high-ranking Audi also claims, the New Audi A4 comes with a myriad of features and upscale comfort. "New VW Golf comes to bring comfort and the best handling. At Audi will present brought them better. First you can feel New Q7, and then A4 will be present to bring the same comfort," says Dr. Ulrich Hackenberg. As we all know with the New Audi A4 is expected to have a light weight, thanks to the use of the best metal material and aluminum MLB platform that has been inserted in the New Q7. "Audi A4 modern look, with the latest design," he added. Speaking of the engine is estimated to be carrying the Audi A4 1.4 TFSI petrol engine, 3.0-liter TDI diesel and the 2.0 TDI. Do not forget the engine plug-in hybrid A4 e-Tron is capable of running up to 30 miles using battery power will also be provided. Unfortunately the price until now could not be known with certainty. But this car is estimated will not be too far away from its competitors. No Comment "New Audi A4 Coming September 2015"